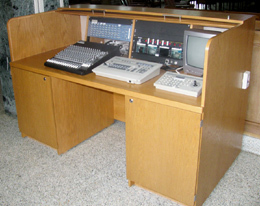 Phillips Pro Systems provides Audio/ Video Locking Roll Top Equipment desks. 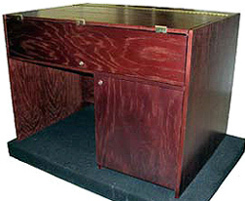 The roll top desk is manufactured in many sizes and shapes to meet your needs. Custom versions are also available. 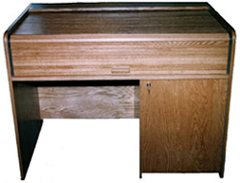 If you need portability, a caster cart can accompany your roll top desk. 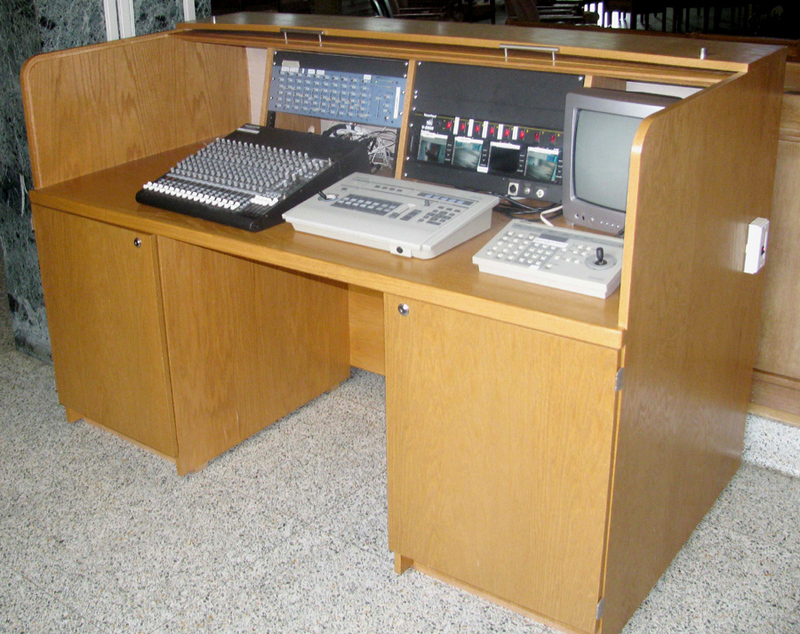 The desk can house standard 19 ” equipment and can be ordered in different heights for additional rack space. There is an easy access panel on the rear for easy wire installation. 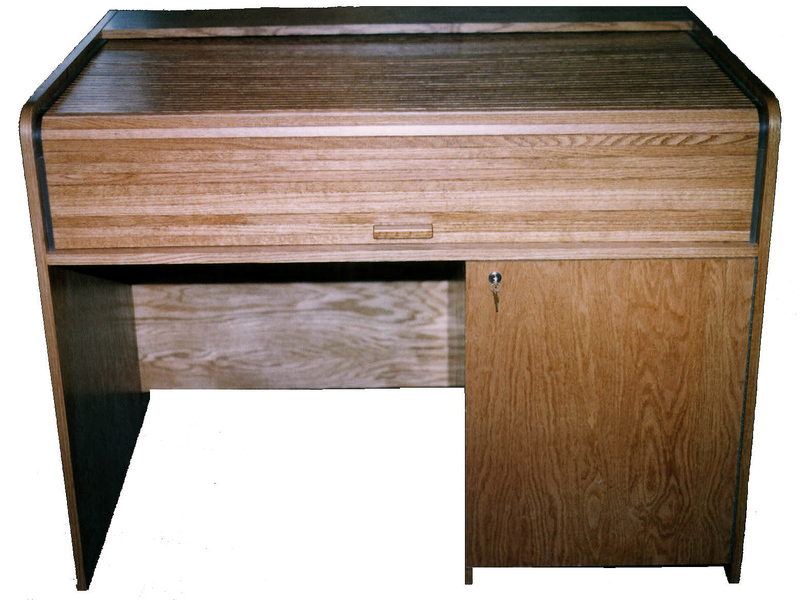 Twelve stain colors are available to match existing furniture. 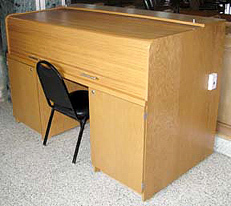 Locking top and bottom is standard.